Please help us by answering this short survey to help us know what offerings you want! 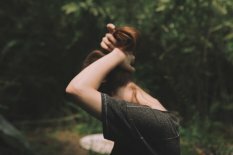 The survey is only 6 questions and should take less than 2-minutes! 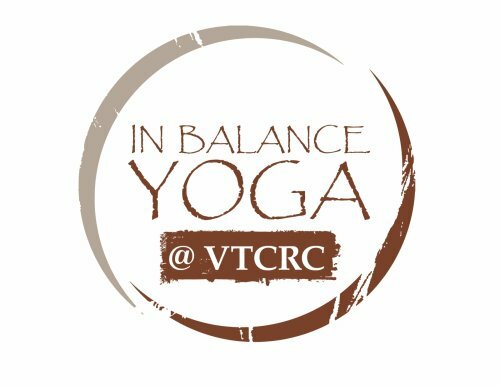 We plan to offer between 9 - 10 classes per week; open to all and specifically targeting yoga for VTCRC tenants. The IBY @ VTCRC location schedule will also be included in our Mindbody app and our online webscheduler. 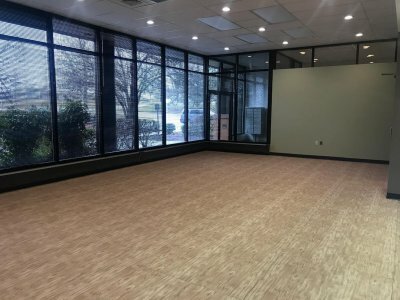 The new location will have our same flooring (environmentally friendly, anti-bacterial, 1/2 inch thick) and paint selections for a similar feel and spirit for our community. We are excited for this partnership. 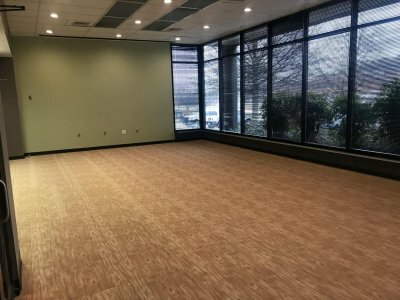 Thank you VTCRC for believing in us. 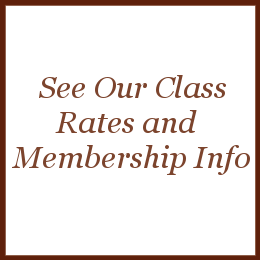 Our IBY Members will also receive unlimited classes at the IBY @ VTCRC location. 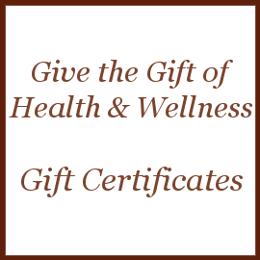 Become a member with us today and take unlimited classes at both locations. remain sensitive to individual limitations. Thank you to Blacksburg Battles Cancer for the grant to offer this program to our community. 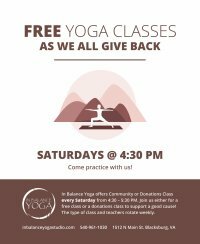 This program is for certified yoga teachers to receive a free training to offer gentle yoga to cancer patients, survivors and cancer caretakers in exchange for each student to volunteer to teach these classes in the community at no charge to these populations once certified. for the studio - we are grateful for you! 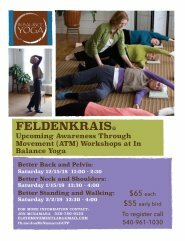 This 3 day workshop will provide you with the knowledge & skills to give a 90 minute Thai Yoga Massage. 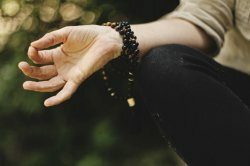 We will learn about the history of this healing art form, the energy lines that were deeply studied by the monks & communicated through ancient drawings, the various techniques & assisted stretches that also make this a unique healing art form. Francisco will also provide the Thai massage book published by his teacher. 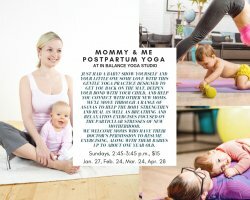 Been wanting to try yoga but nervous about a public class or getting started? 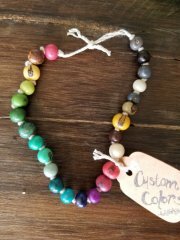 This class is designed for beginners to help them feel comfortable in a public class. Register by 2/15 + SAVE $50! 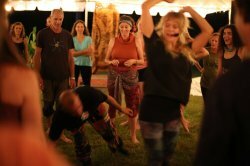 Join Nicole & Keala on our FIRST KUNGA JOURNEYS SERVICE RETREAT IN INDIA. 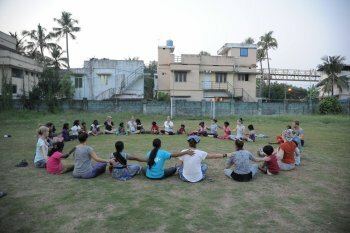 A service retreat to work & serve at the Homes of Hope Orphanage in Hassan, India. Our first Service Retreat to India of at least 5 over the next 10 years. 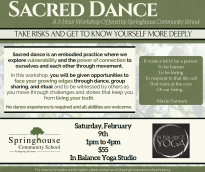 Please let us know if we can pre-register you for class! 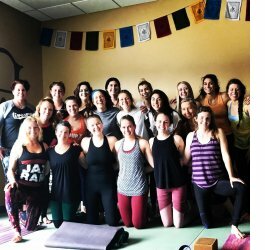 Bethany Rallis is a 200 RYT, Certified Baptiste Teacher. 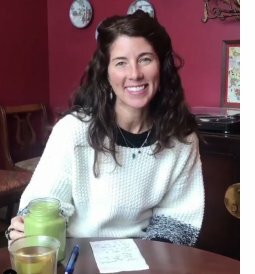 She completed Level I and Level II teacher trainings with Baron Baptiste from 2010 to 2011 and Level III in 2018. 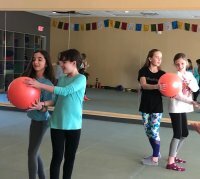 Since 2010, she has taught with and sought mentorship from Certified Baptiste Teachers in Rhode Island and Northern Virginia. She completed Art of Assisting through the Baptiste Institute in 2016. 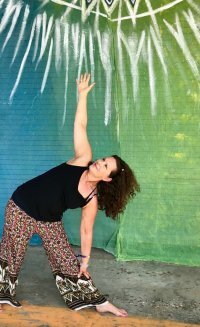 She taught and led yoga assistant trainings at a Baptiste Affiliate Studio in Northern, VA for 4 years before moving to Blacksburg. 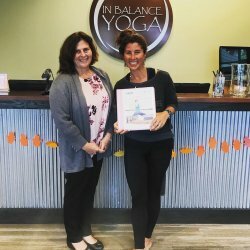 She found her new yoga home at In Balance Yoga in Fall of 2016. 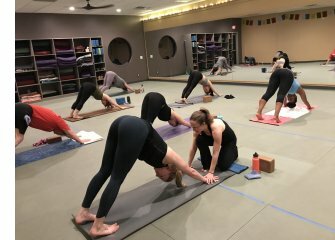 Bethany views the yoga practice as an avenue to create change in our bodies, our minds, and in our lives. 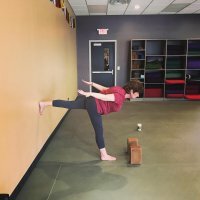 Through her yoga practice, she has learned to face challenges on her mat by modifying poses, when necessary, and accepting the support of her teachers and her community. 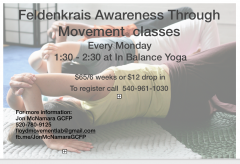 Her classes are about stepping out of doubt and into the reality of infinite possibility on your mat and in your life. We will know our fundraising goal soon! 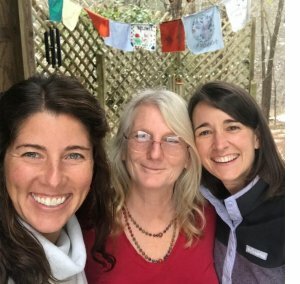 Nicole, Shirleyann from Floyd Yoga Jam, and Courtney are hosting 3 Mini - Retreats in Floyd in April, May and June 2019. 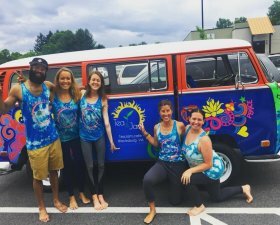 Join us for camping in the Blue Ridge, Dharma Yoga, pranayama, meditation, Kirtan, paddle boarding on the Little River, outdoor service project focused on water quality, plant based food and magic! Dogs allowed! Limited to 20 people - of course dogs are invited. 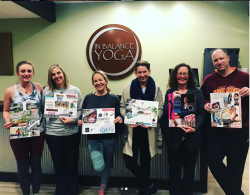 In Balance Yoga is blessed to be a part of this nonprofit. 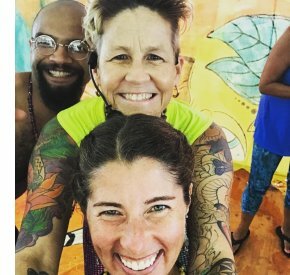 These mini- retreats hoping to connect everyone to the mission of Floyd Yoga Jam. 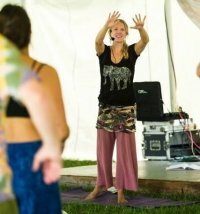 Floyd Yoga Jam was voted Best Retreat in SWVA by Blue Ridge Outdoors Magazine. 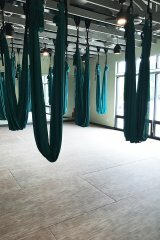 Want to get trained to teach Hot Flow 2 - Set as we teach at In Balance Yoga? 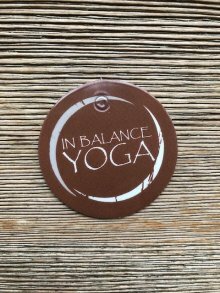 SAVE THE DATE - Join us at In Balance Yoga studio in Blacksburg, VA when Master Hot Yoga Teacher Jimmy Barkan and his Senior Teacher, Jessica Gardner visit In Balance Yoga to teach us this sequence! 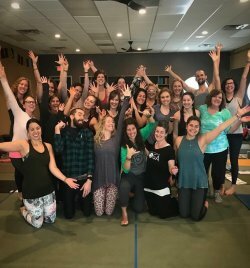 from Jimmy & Jessica: Join us for this Yoga Immersion. 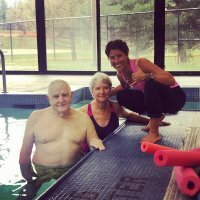 Since 1986, Jimmy has helped thousands of people improve their hot yoga teaching methods, which in turn, has helped even more students have beneficial and positive experiences through the Barkan Method. 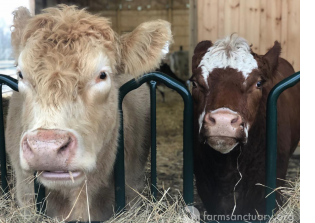 CLICK HERE TO APPLY UNDER "BLACKSBURG"
Join us as we visit the Farm Sanctuary in NY - one of our three non - profits we give back to quarterly through our Kunga Fund. Join us for hiking in NY, being on the lake, outdoors, plant based food and a volunteer day at the farm. This month’s Kunga Yoga classes we honor the great invisible yoga teacher of MUSIC! 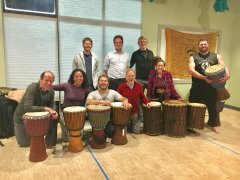 Music is found in every culture around the world, past and present, and has long been used as a vehicle to express ideas, emotions, and events. For the month of February we are honoring this great invisible uniting force of MUSIC! Hope to practice with you soon. Thank You For Your Continued Support.